7pc Vac 'n Save Bowl Set as low as $10.00! Reg $34! 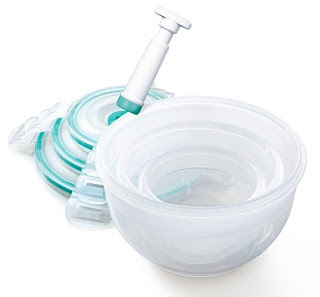 Right now at HomeSav, you can get a 7-piece Vac 'n Save Bowl Set for as low as $10.00! This set regularly costs $34.00. Food stays fresh up to 4 times longer than traditional storage containers. Seals in freshness & flavor by keeping out moisture & air. Heat resistant silicone gasket provides airtight, leak proof barrier.